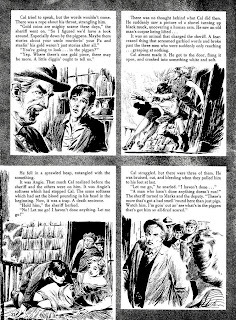 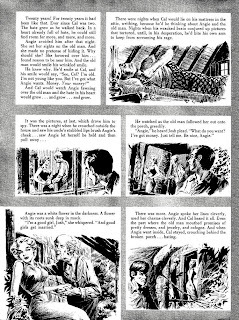 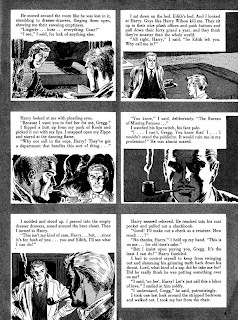 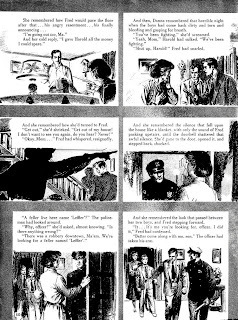 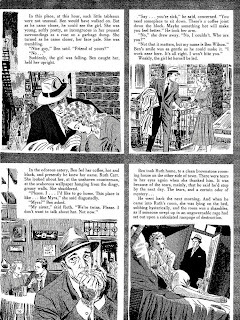 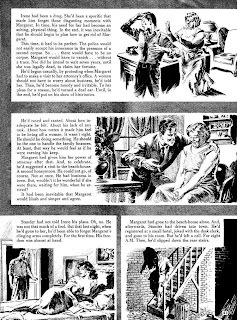 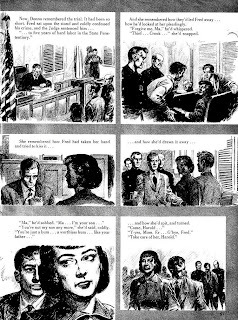 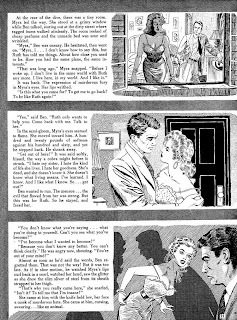 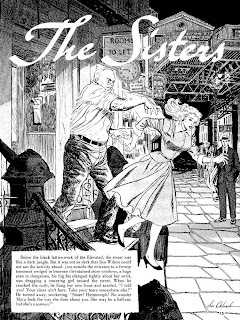 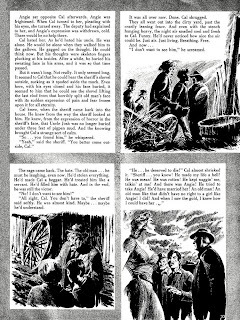 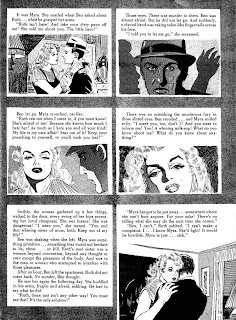 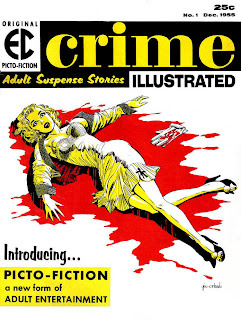 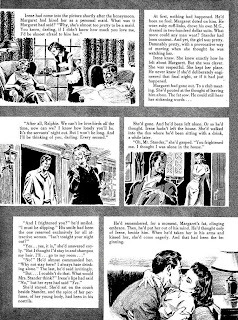 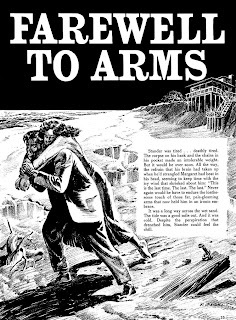 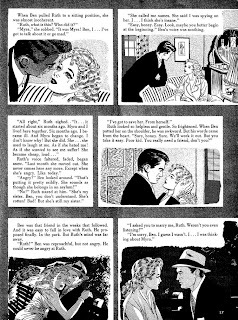 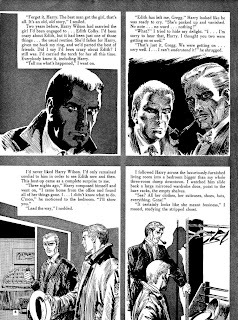 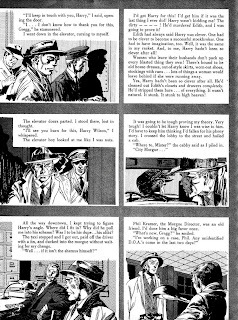 CRIME ILLUSTRATED was an attempt by EC Comics publisher Bill Gaines to get around the new Comics Code authority by publishing comic books that weren't really comic books, but a hybrid of pulp and comics. 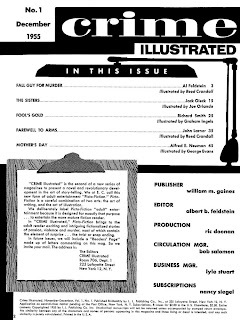 The public didn't accept it, sales were poor and the magazine only lasted two issues. 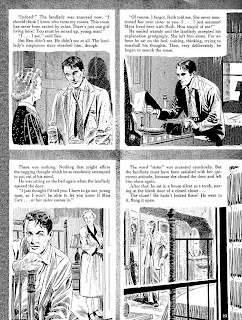 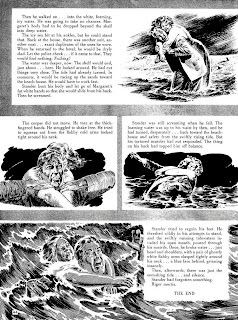 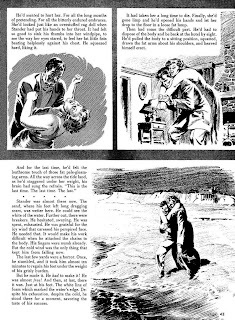 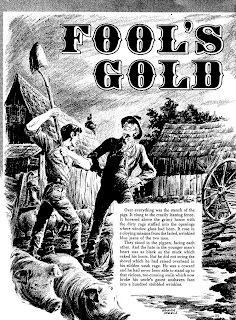 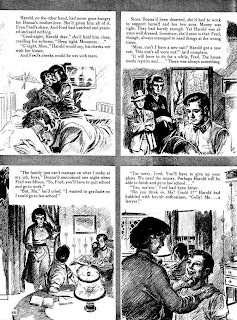 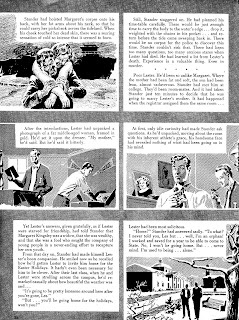 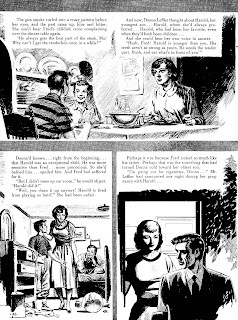 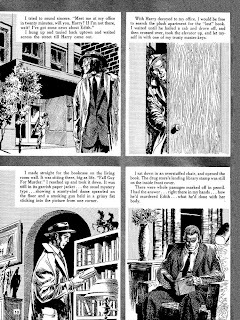 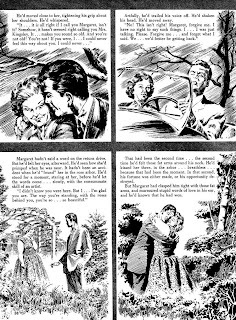 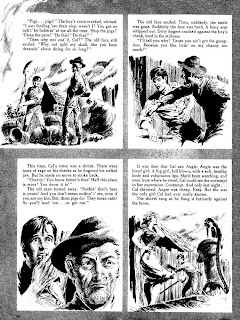 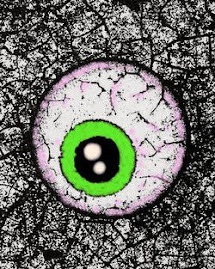 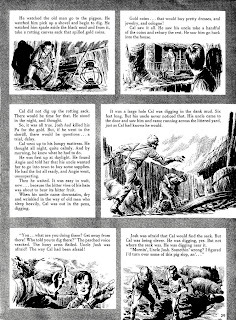 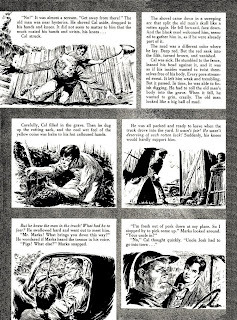 It used the EC Comics artists and they pulled out the stops on illustration techniques. 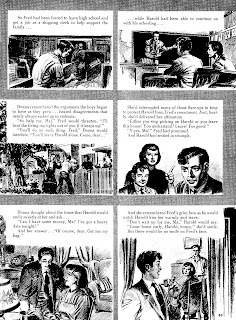 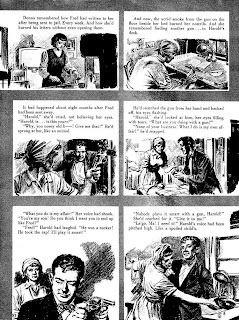 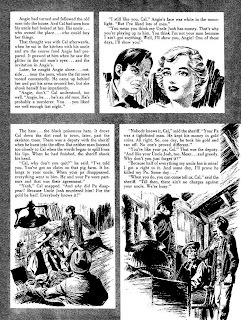 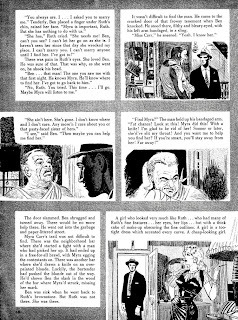 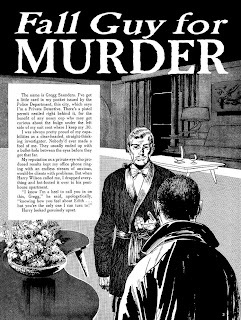 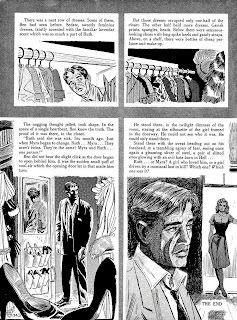 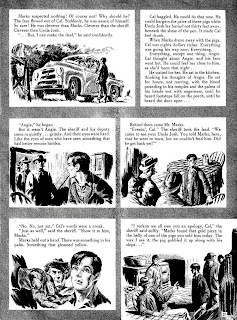 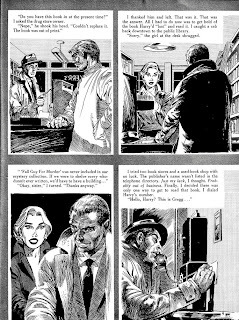 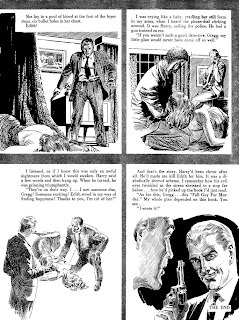 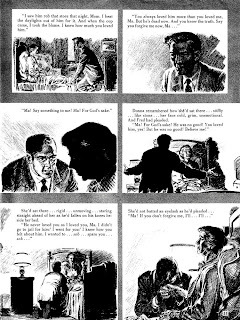 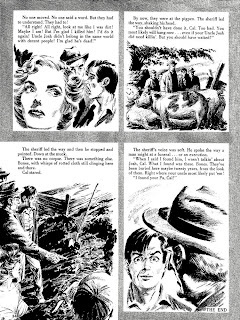 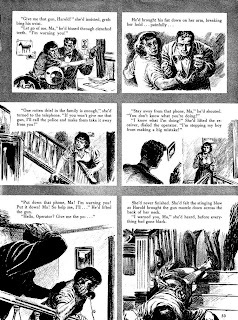 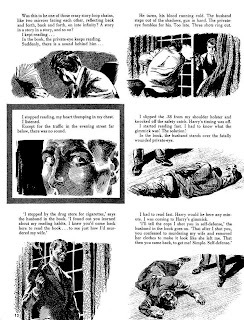 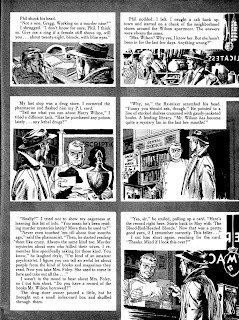 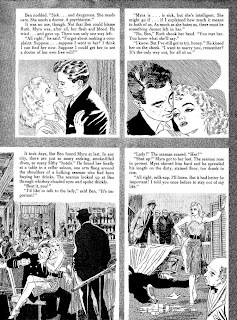 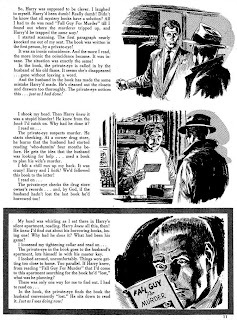 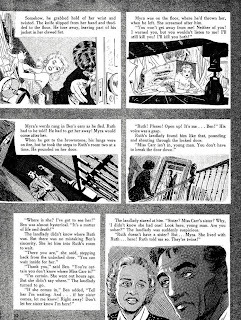 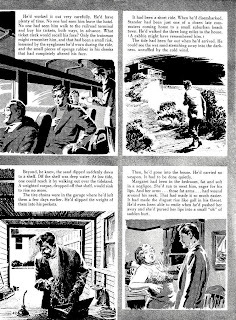 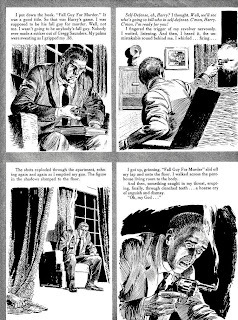 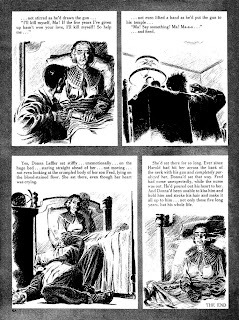 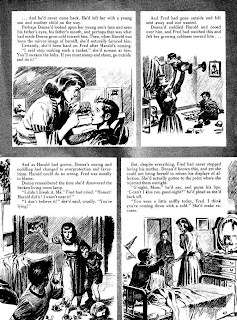 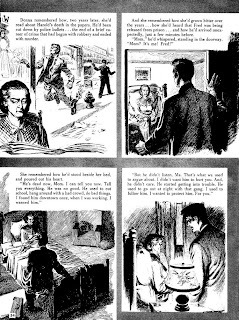 Reed Crandall was given full credit for "Fall Guy For Murder" and it looks like his inking in places, but it also looks like Bernard Krigstein shared duties on the pencil art. 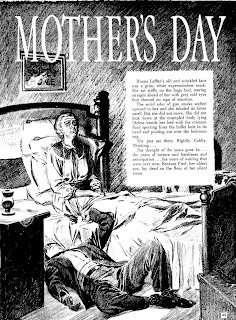 Alfred E. Neuman, moonlighting from his job as mascot at Gaines' one magazine success, MAD, is given writer's credit for the grimmest story of the bunch, "Mother's Day." 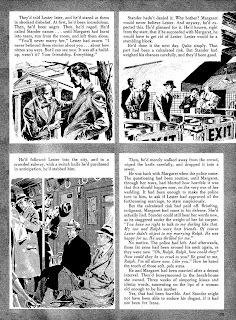 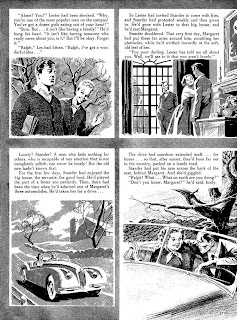 Copyright © 1955 L. L. Publishing, Inc. 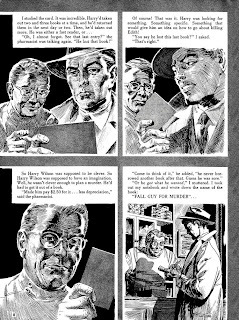 Thanks for that information; can we surmise from his objection that he had his name kept off the credits?